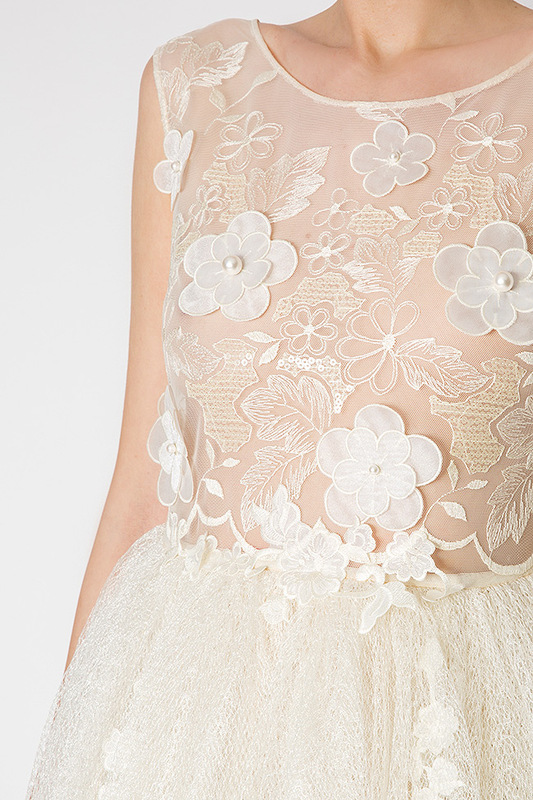 Elena Perseil's midi dress is beautifully cut from ivory silk tulle and embroidered to form miniature flowers. Don't be fooled by the transparency - there's an extra layer and by demand this product can be made with detachable slip underneath. 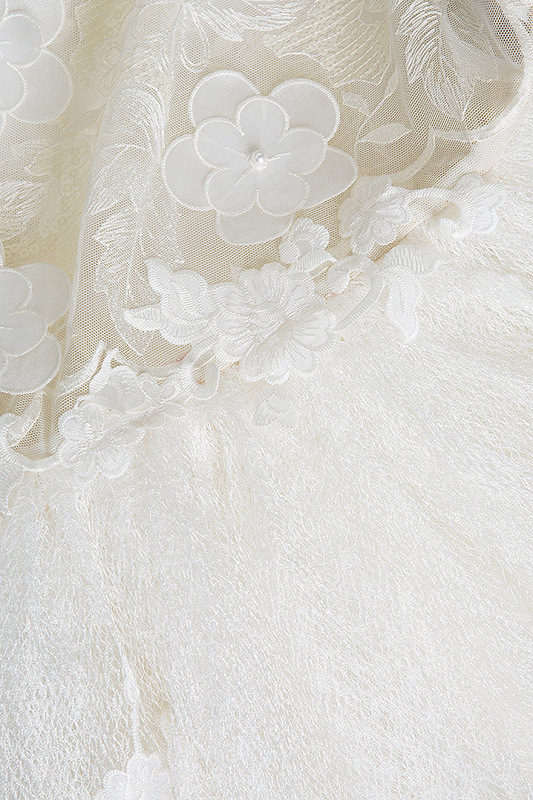 Material: 50% silk, 50% viscose.